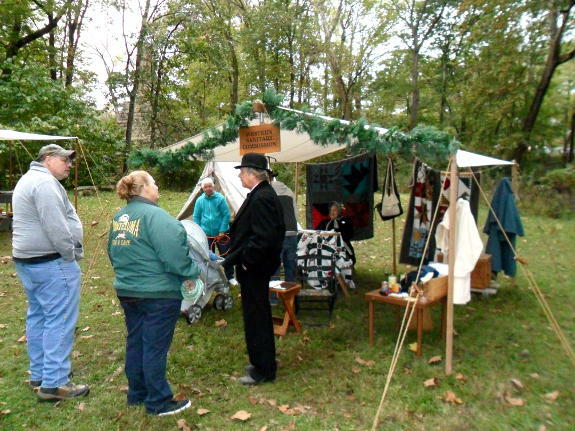 St. James, MO: Old Iron Works Days Living History « The Turner Brigade--Missouri Volunteers, U.S.
Maramec Spring Park hosted its annual Old Ironworks Days in the park on October 13-14, 2018. Members of the Turner Brigade joined more than forty crafters and demonstrators in displaying the way of life in the 1860’s. 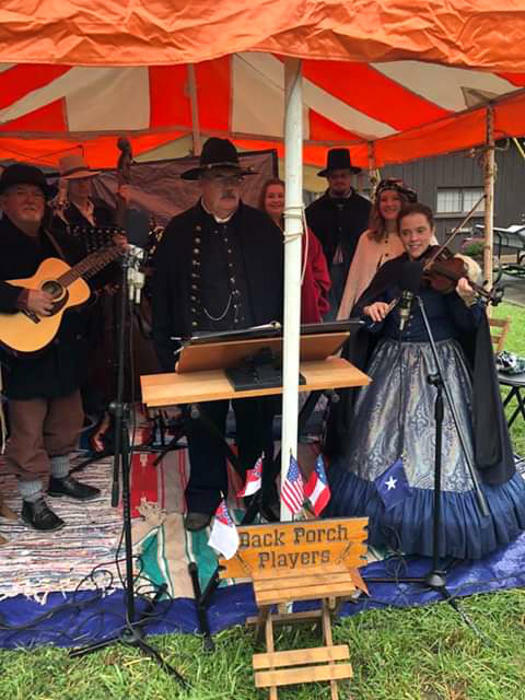 Turners Steve and Reth Allen performed with the Back Porch Players musical group at the Old Ironworks Days living history at Maramec Spring Park near St. James, MO, October 13, 2018. Randy Baehr talks with spectators about the work of the Western Sanitary Commission at the Old Ironworks Days living history at Maramec Spring Park near St. James, MO, October 13, 2018. Pat Baehr displayed quilts under the fly.